How do you react to rejection? I curl up into a ball. I do a Darth Vader on them. I accept the fact that I am a loser. I start up a multimillion dollar company, just to spite them. Callipygous is alarmed over Corruption of democracy in the US but happy over Hitch Hikers Guide New Series , ... Serenak has Proof of the MHz fallacy? , ... Cap'n Vic wonders If America were Iraq, What would it be Like? , ... Snaggy discovers a JoT book review from the Malaysia Star , ... and The Famous Druid forwards Abbott, Costello, and computers. 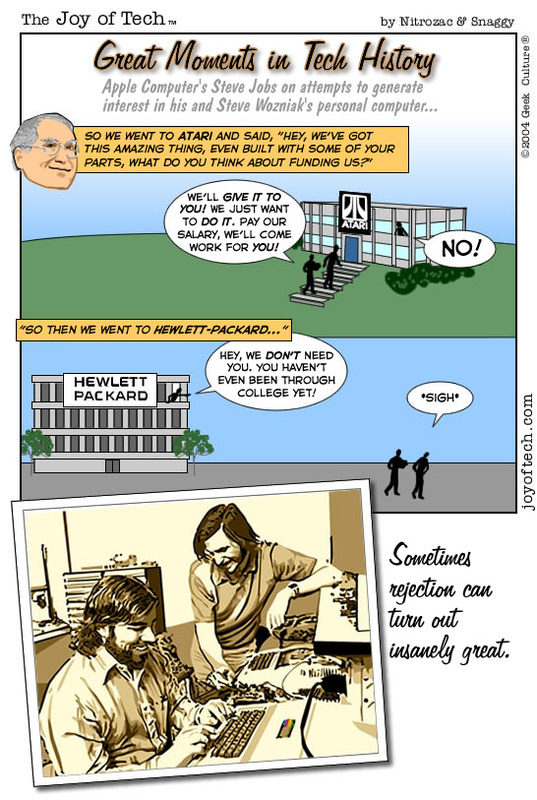 And in SuperFan Clubhouse Tidbits: Zwilnik asks Any Superfans in Cupertino? SuperFan Subscriptions! Get access to the SuperFan Clubhouse, custom avatars in the Forums, and as a SuperTreat, Solid Nitrozanium SuperFans can appear in the comic!